To increase the quality Passive Tone Control this we must add the Tone Booster, Turbo Bass, Subwoofer module or another pre-amplifier circuit so that the sound that produced Parametric Tone Control to be as original sound or even louder and powerful output. 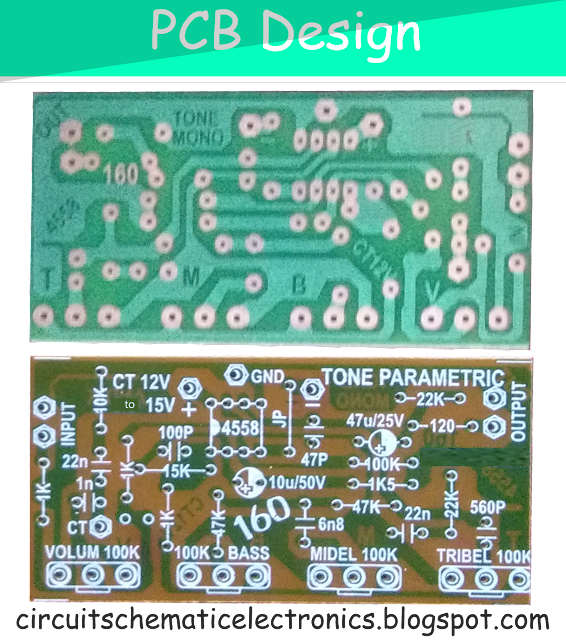 For PCB Layout Design see image below. 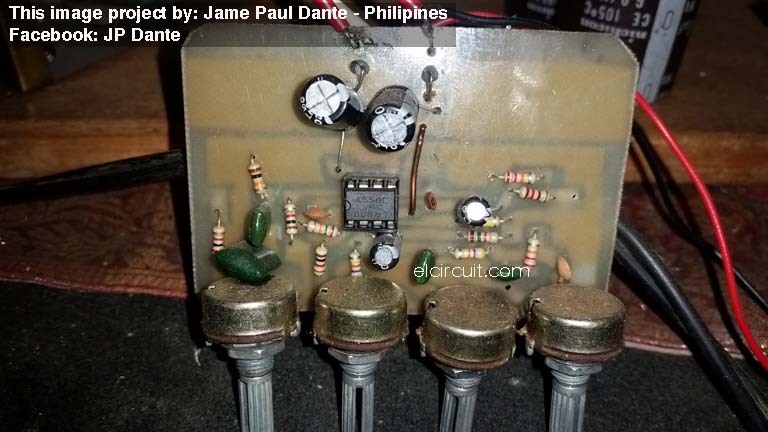 i made one..and it works..its super perfect design..thanks sir..
thank you for your interesting circuit. And congrat for your dine project. Can you send me your project? you mean my finish project? Hello Jaime ... Could you help me by answering the question I ask below? ... It's about the "CT" connection ... I do not know what it means nor the function it performs.